Choosing a carpet cleaning company in Morrisville, PA is easy if you know what to look for. Start by finding a carpet cleaning company with a good reputation and years of experience. Add to that a company with qualified carpet cleaning technicians. Finally, to make sure there’s really no risk involved, check and see if the company has a satisfaction guarantee. Well, if you’re looking for a high caliber carpet cleaning company in Morrisville, PA, look no further. 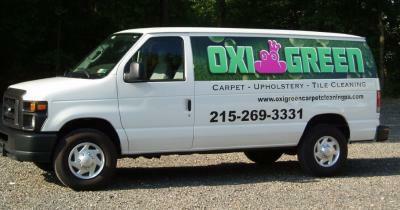 OxiGreen has 25 years of experience in residential and commercial carpet cleaning. All of our technicians are certified by the IICRC, an independent entity that trains and monitors carpet cleaning technicians throughout the United States. Our 100% satisfaction guarantee is hard to beat! If you are not 100% satisfied with the results, our crew will come back and clean your carpets again. Also, if any spots mar the appearance of your rug with 30 days of our carpet cleaning appointment, we will return to your home and remove them for free, with no questions asked. Now, that’s a guarantee you can feel comfortable with! Call OxiGreen in Morrisville, PA today at 215-269-3331 to ask any questions or to schedule an appointment for carpet cleaning or a free in-home carpet inspection. You can also check out our website to learn more about our green carpet cleaning process, read customer reviews, or find out about our other interior home cleaning services, such as tile and grout cleaning, upholstery cleaning and more. We know that our long lasting, deep cleaning method will improve not only the appearance of your carpeting, but also the air quality in your home. We will remove up to 85% of the dust mites, bacteria, and other potential allergens caught deep in the fibers of your carpets. With OxiGreen, you can breathe easy. Call us today.